We are back to the grind after a nice long weekend spent at the lake, soaking up sun, and watching fireworks from the boat. Speaking of fireworks, if you missed our 4th of July recipes, they'll be a good addition to summer cook outs all season long. Cold brew is a weekday morning staple for us at the moment. As long as you remember to prep it the night before it's incredibly convenient, and tastes a lot better than pouring what was hot coffee over ice. If you've never made french press cold brew, we found this article on the kitchn to be incredibly useful. The drinks we've featured here have been on the fruitier side lately, which is natural for this season. But since we were already in the habit of making cold brew, we thought why not repurpose that into a cocktail. 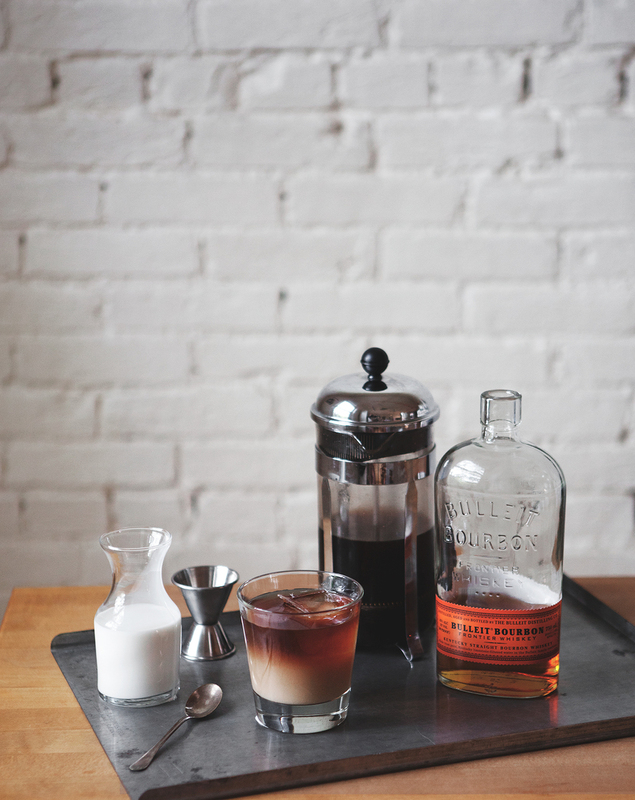 We kept it very simple, just some bourbon and simple syrup for a bit of sweetness. 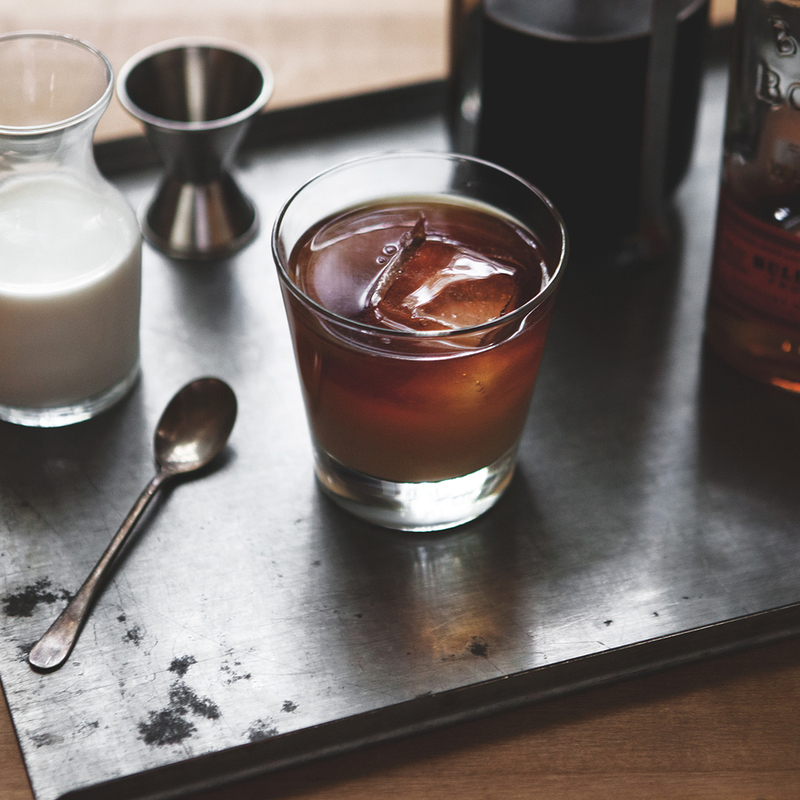 In a cocktail shaker, combine simple syrup, bourbon and coffee. Fill shaker with ice and stir until mixture is thoroughly chilled. Pour into a rocks glass and top with heavy cream to serve.